If you thought making my basic raw salsa was easy, you’ll appreciate the simplicity of my salsa verde, which uses nearly the same formula. 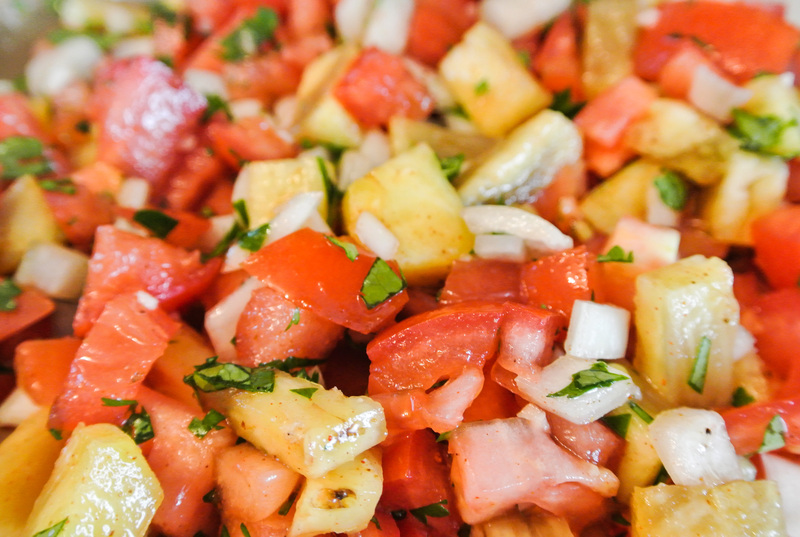 Although there is one extra step—cooking the tomatillos—one step is removed: the fine dicing. 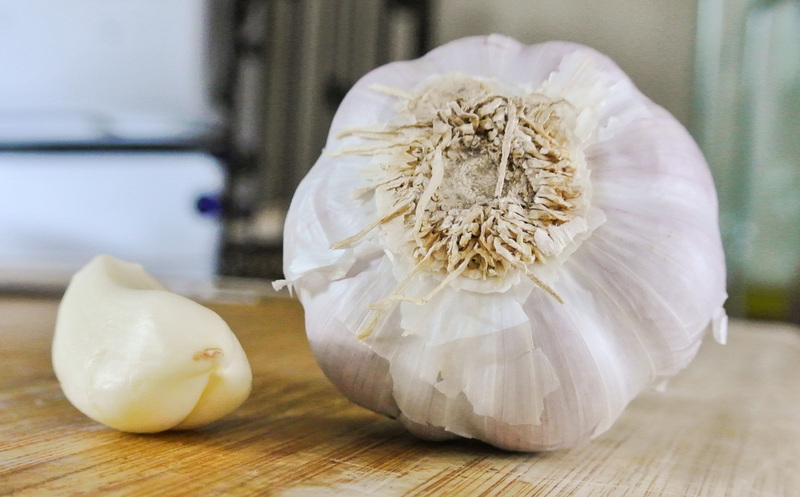 Salsa verde comes together with a food processor and requires only coarse chopping (we’re talking a few big pieces) of an onion. 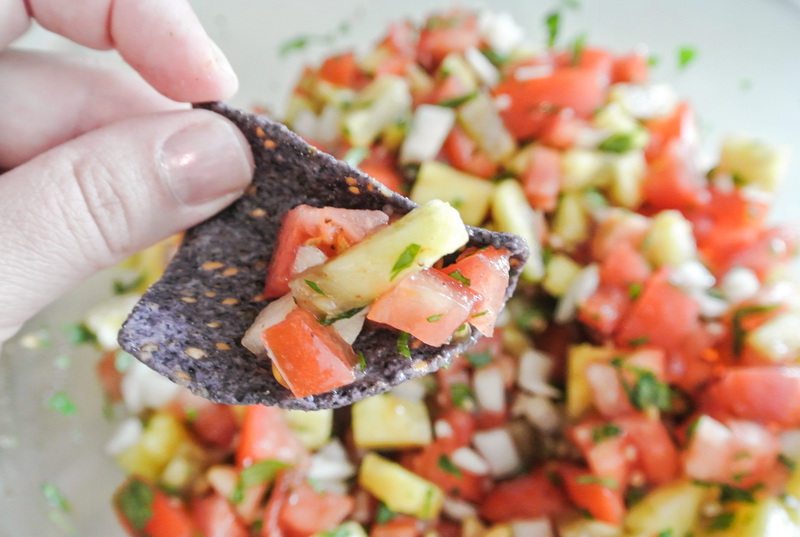 And, just like my other salsa, this one is salt-free. A win-win! 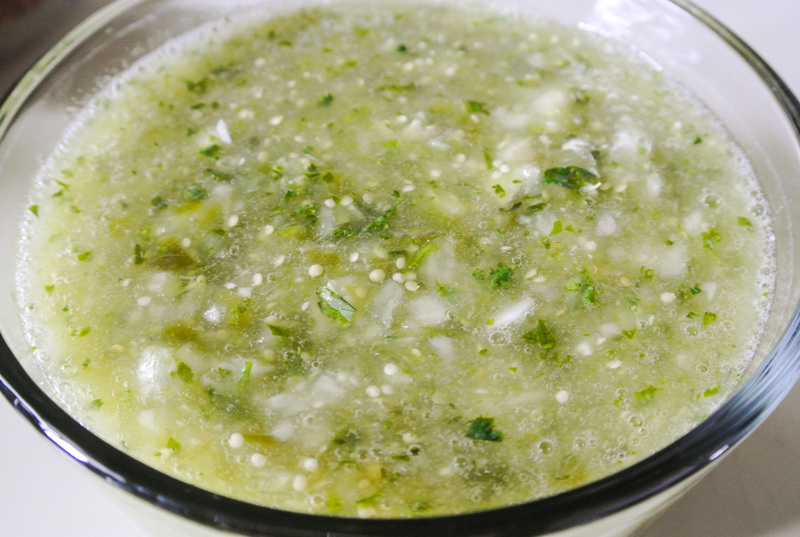 The basis of salsa verde is the tomatillo. The tomatillo is a green vegetable that comes in a husk like corn (husk removed in the picture below), but resembles a tomato in appearance and interior texture. 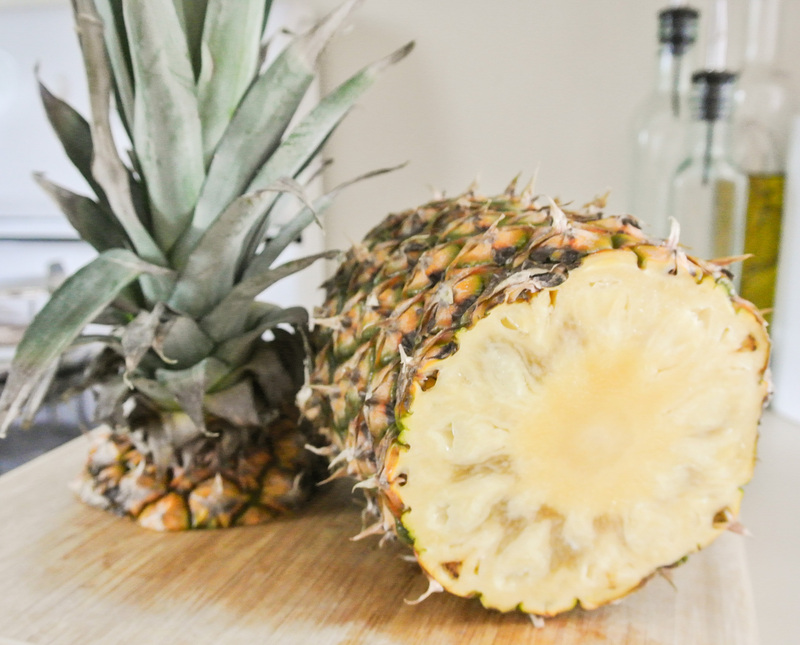 It is loaded with vitamin C, fiber, and niacin and has a tart, somewhat bitter flavor. 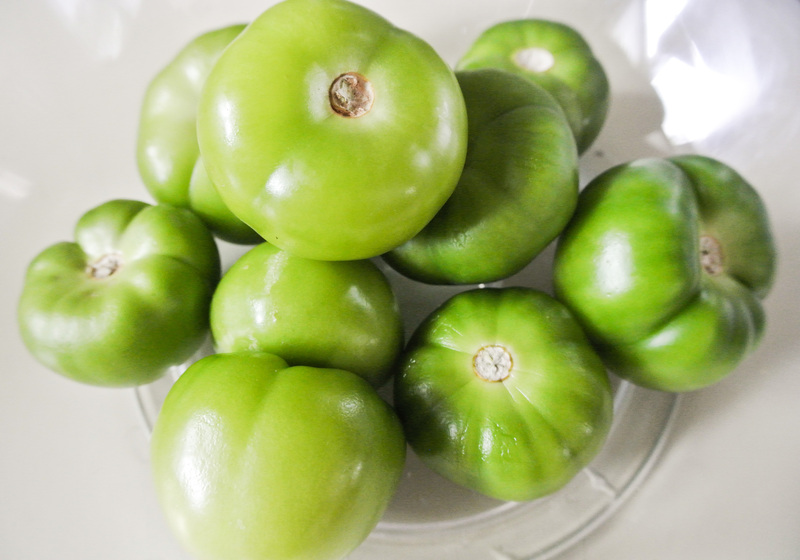 The best way to describe a raw tomatillo is that it is hard and green when it is ripe, unlike traditional red, yellow, or orange tomatoes that are at this stage when they are just beginning to grow. As a result of tomatillos’ tough outer texture, they are traditionally cooked in some way before becoming a salsa or sauce. 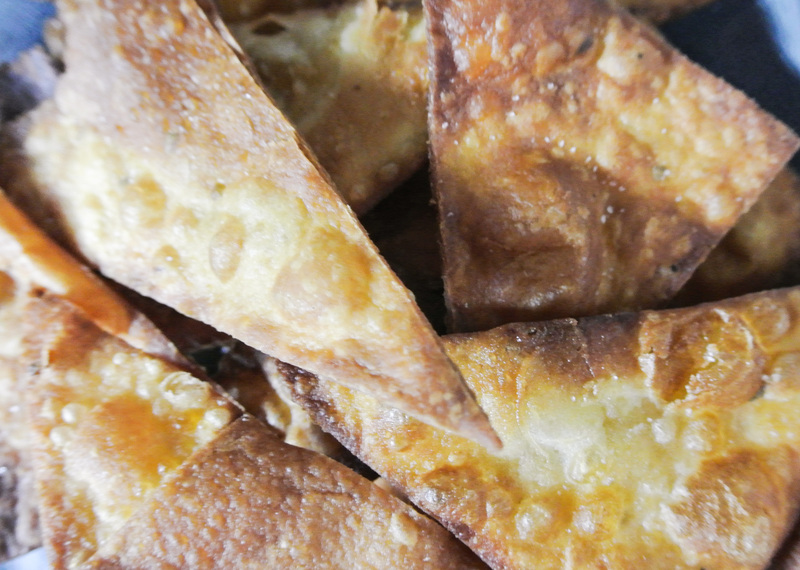 The second component of today’s snack is the semi-homemade tortilla chips. When they are offered with our weekly Bountiful Basket, Travis and I always pay a little extra for a variety pack of tortillas. 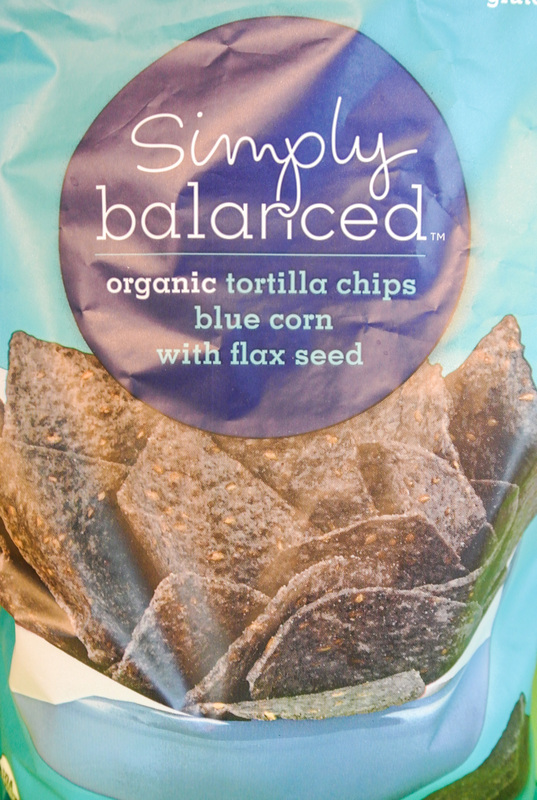 In addition to plain, the variety pack typically offers tortillas made with spinach, tomato and basil, and chipotle peppers, too. We keep one flavor in the fridge for veggie wraps and the rest in the freezer. I figure that if I’m going to eat something fried, I’d like to control the quality. Travis and I use peanut oil, which is among the oils tolerant to high cooking temperatures. I finish them with a light dusting of pink Himalayan sea salt. One large tortilla makes ten to fifteen chips, depending on how you cut it. You can, of course, buy chips for dipping or use your salsa verde in a number of other applications. 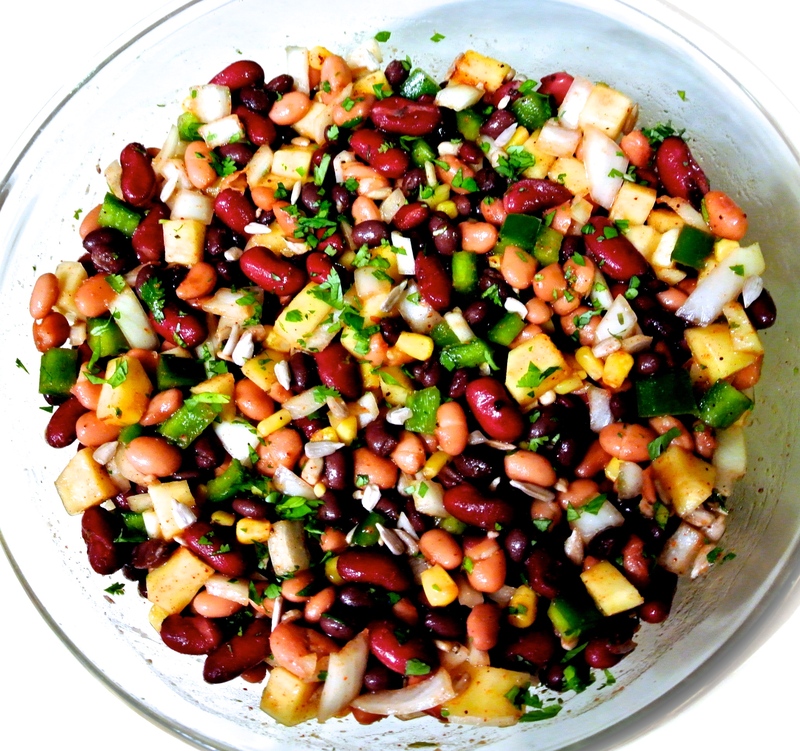 Layer it in a cheaper-than-but-inspired-by-Chipotle burrito bowl, marinate tofu or mushrooms for tacos or lettuce wraps, or thin it out for a quick and healthy salad dressing. 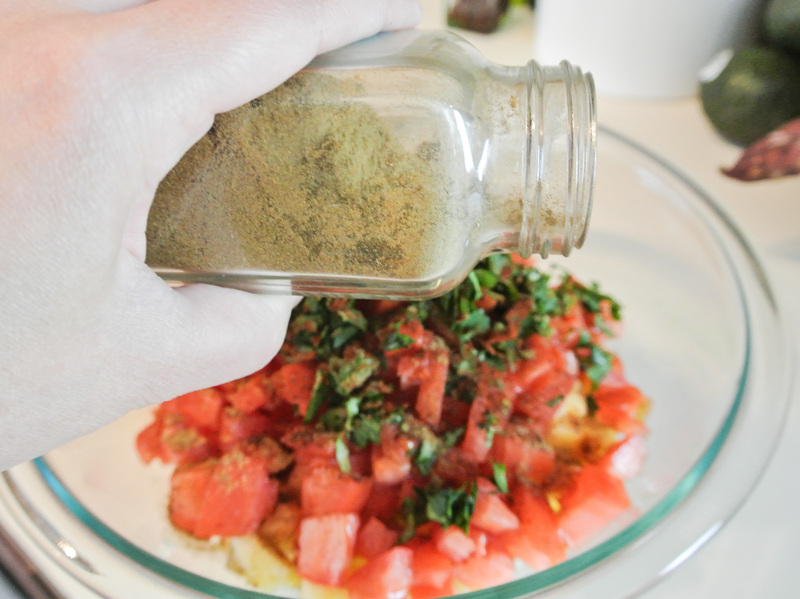 Salsa verde is delicious, nutritious, and versatile. Enjoy! 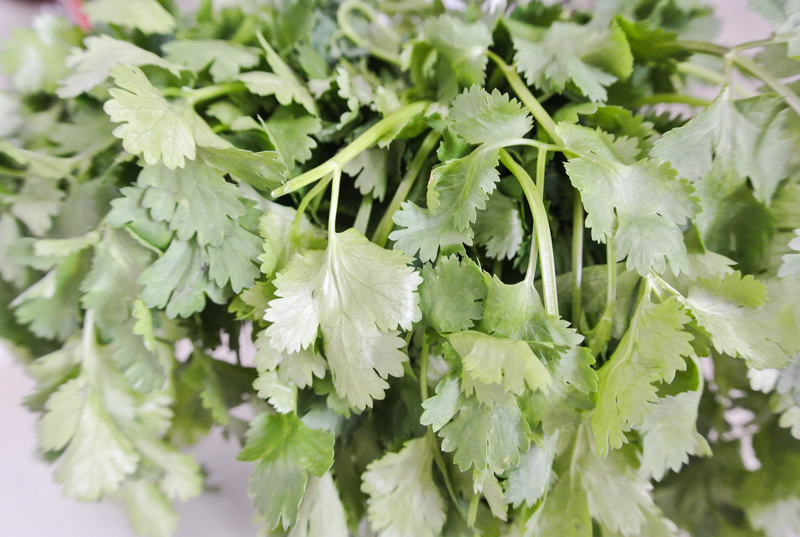 ½ cup fresh herbs –> I’m using cilantro. 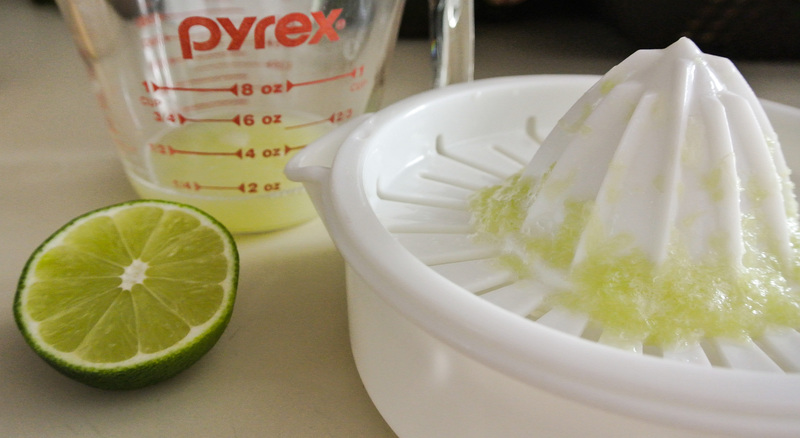 ¼ cup acid (vinegar or citrus juice**) –> I’m using lime juice. *Use fewer tomatillos if you would like to add extras like jalapeños or other peppers, or even fruit. Place your whole tomatillos in a deep sauté pan and cover with water to the best of your ability. 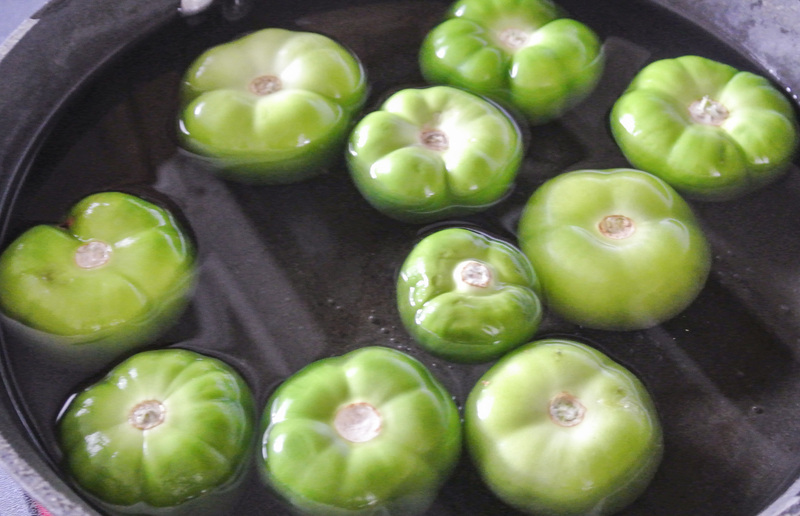 The tomatillos will bob and float a bit. Bring the water to a boil and then turn down to medium high heat. Simmer the tomatillos for 10 minutes, flipping over halfway through. 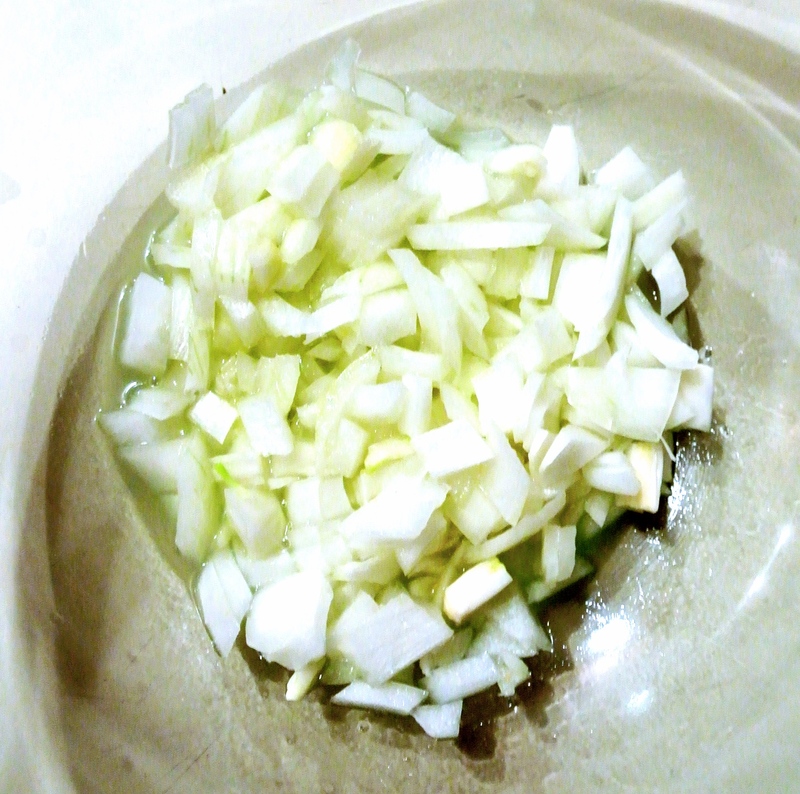 Coarsely chunk your onion and any other vegetables (optional) that you’re adding to your salsa. 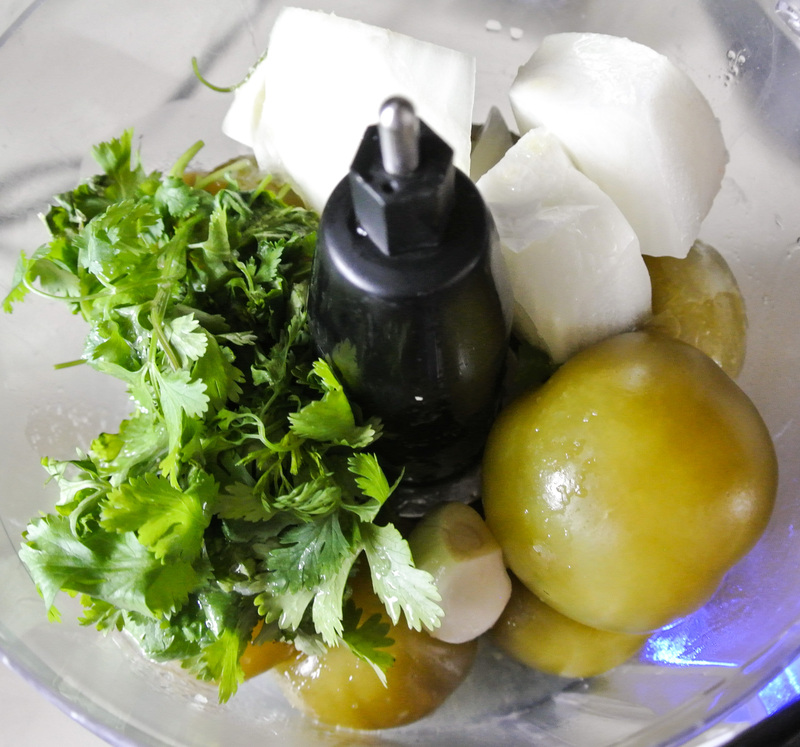 Place all ingredients–including the soft, whole, cooked tomatillos–into a food processor and pulse or puree until desired consistency is achieved. Chill before serving and store in the fridge for a few days. Preheat oil according to deep fryer directions or on the stove top in a sauté pan (about a 1 ½-in depth) over medium high heat. 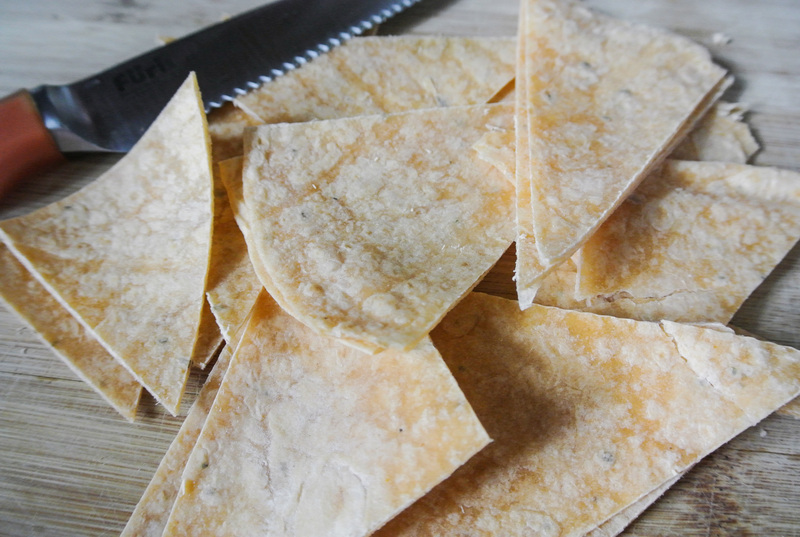 Using a serrated knife, cut a soft tortilla(s) into triangles or the shape of your choice. Line a mixing or serving bowl with paper towel. When the oil is to temperature, drop the tortilla triangles in in batches, ensuring that the cooking vessel isn’t crowded with overlapping chips. Fry for 10-20 seconds on each side or until the edges start to lightly brown. 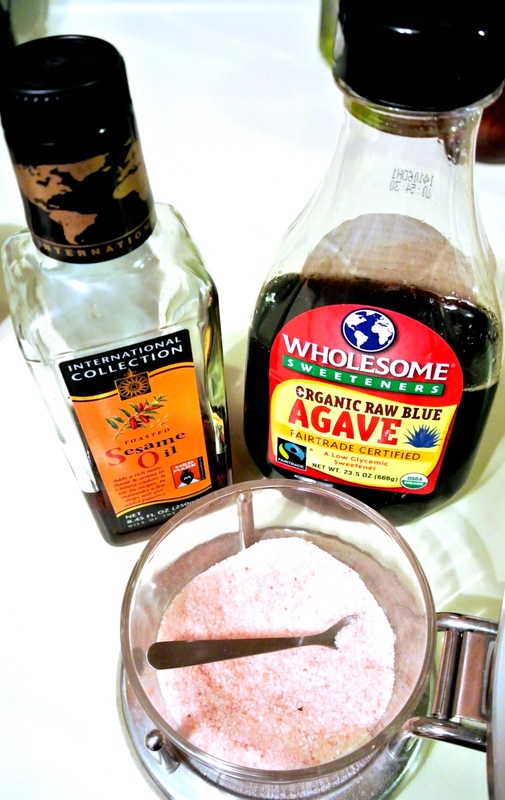 Empty into the mixing bowl and lightly dust with pink Himalayan sea salt, if you wish. Repeat until all triangles are fried. 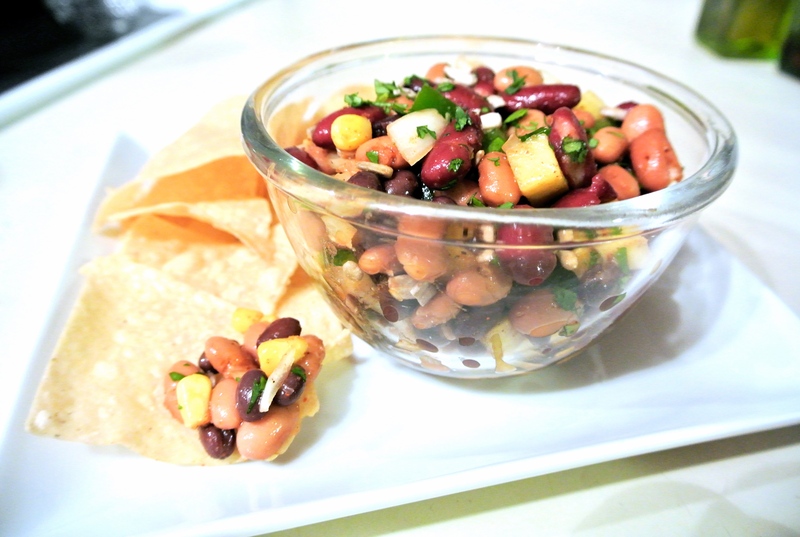 Let cool and enjoy with your salsa verde, raw salsa, or another dip (see my hummus or pesto for ideas).